Located just to the south of Croatia, Montenegro is an Adriatic gem offering numerous beaches, forest-cloaked mountains, crystal-clear lakes and centuries-old towns with influences ranging from Venetian to Ottoman, making it an ideal destination for anyone looking to practice their landscape, documentary and street photography skills. Spend your first day and night in the spectacular walled city of Dubrovnik, before travelling to the historic coastal town of Budva, which will be your base in Montenegro for the next three nights. On the way, enjoy a boat trip around the breathtaking Boka Bay and visit the UNESCO World Heritage Site of Kotor. 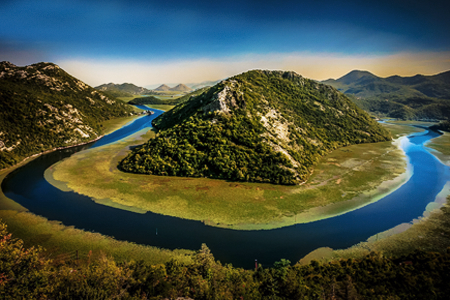 You will also have the opportunity to photograph some of Montenegro’s most impressive natural landscapes, from beautiful islands and crystalline lakes to imposing mountains and a dramatic river canyon. ‘Click here for more details, dates and how to book’. If you are joining TD active Holidays and ourselves on one of the many photography holidays, then before you head away why not attend our popular Travel Photography Workshop and avail of our discounted special price of €85 (normally €125). Click here to book.